Plan now to avoid SPRING SLUMP. In many schools, May is the winding down month of the school year. Depending on where you are in the country, you may be assigning your final big project for which your students will demonstrate the breadth and depth of learning for the school year. You will be trying to figure out how you can get the majority of them up to standard while maintaining the interest and enthusiasm of those who already have demonstrated proficiency. After seeing Keith Schoch’s article for teaching literary terms and providing prior knowledge before teaching full length works of literature, Picture Books Across the Curriculum, I thought of adapting this idea to an end of year project. Why not do something novel? 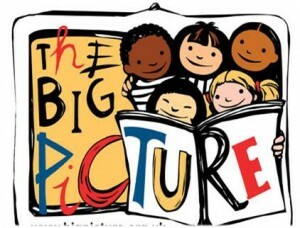 Invite students to bring in their choice of a fiction or non-fiction picture books. This could be an old or new favorite. 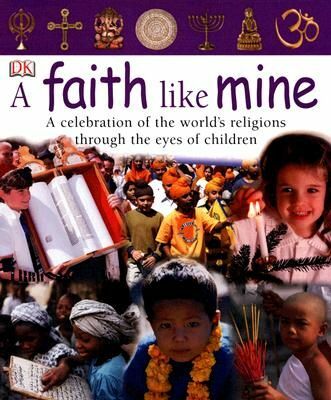 One you may like to share could be A Faith Like Mine by Laura Buller. Design a number of tasks that will align with the standards you have set for the year for reading, writing, speaking, listening, viewing, critical thinking, and using technology. You could even decide to make the final assignment a community service project presented to a local elementary school or senior citizen’s facility. Consider making this a small group assignment with each student completing his/her own written component. practice reading their stories and then go read them to younger students in a nearby elementary school or to a older folks at a senior citizen facility. rewrite the story set in another time or place and that includes a character from one of the pieces of literature you’ve studied together this year. create a piece of abstract art that reflects two or three important aspects of the story. select or write a piece of music that represents three or more characters in the story. A significant component of this assignment should be a one or two page written reflection in which students are required to explain the choices they made and what they learned doing the assignment. The response should include answers, in no particular order, to 5 Ws and H questions like those below. Who could be an audience for your project other than your classmates? What have you learned about yourself from doing this project? When did you first read this story? Where do you think is the best place toa display or present your project? Why is project an effective way to show what you have learned this school year? How does this project show about what you’ve learned this school year about reading, writing, speaking, listening, thinking, using technology, and anything else? If leaving school is not practical, collaborate with another teacher and each of your present your projects to the other one’s class. You could arrange exchange visits to one another’s classrooms on different days. For example, you could host and present one day, and your colleague could host and present another day. Do help keep students on track, decide the minimum requirements a project must reflect to earn a C and share that information with the students. Consider using a version of these GENERAL GRADING GUIDELINES.